Rosario's sense of style is simply of hers to make. I don't know how I feel about the hair 'do but every other celebrity that attended went the casual look. Tracee why did you wear that unflattering dress for?? Their bag game makes up for their laid-back edge. These two are usually dressed to impress. Rent "Brown Sugar", "Ray" and "Deliever Us from Eva" for proof. 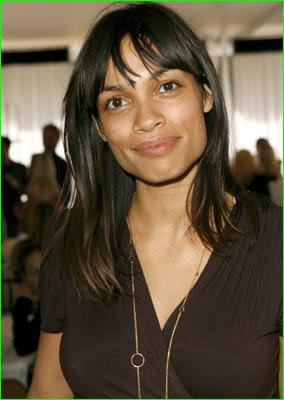 If anything Kidada should portray her best friend Aaliyah in the biopic. Her jewlery is most likely from her Disney Couture line she has going on. I'm feeling her sandals....that's also going on my extra long must-have summer shopping list. 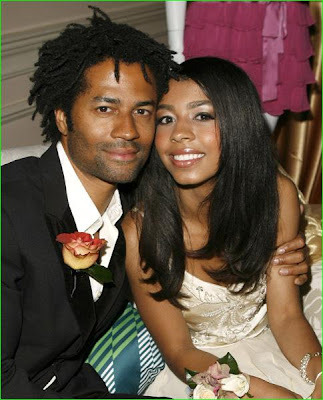 India is quite a grown lady...she could have been Halle's step-daughter if Eric thought with the right head! -smh- Let me stop knocking this guy...he's seems like he's a cool dad. He brings India to just about every red carpet event he attends. I'm loving baby Daniel's paparazzi poses. 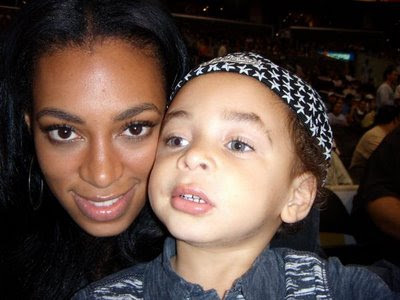 I wonder if Solange took that last picture herself. Congrats to the Urban-Hoopla CD giveaway winners! You should have received the e-mail by now stating that you've won! 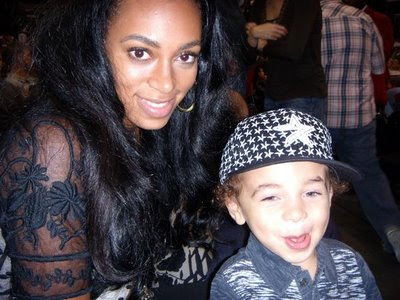 Solange's son daniel is a HAM!! He is definitely ready for the "red carpet"!!! Thanks Miss Chi Chi for posting that pic....adorable!